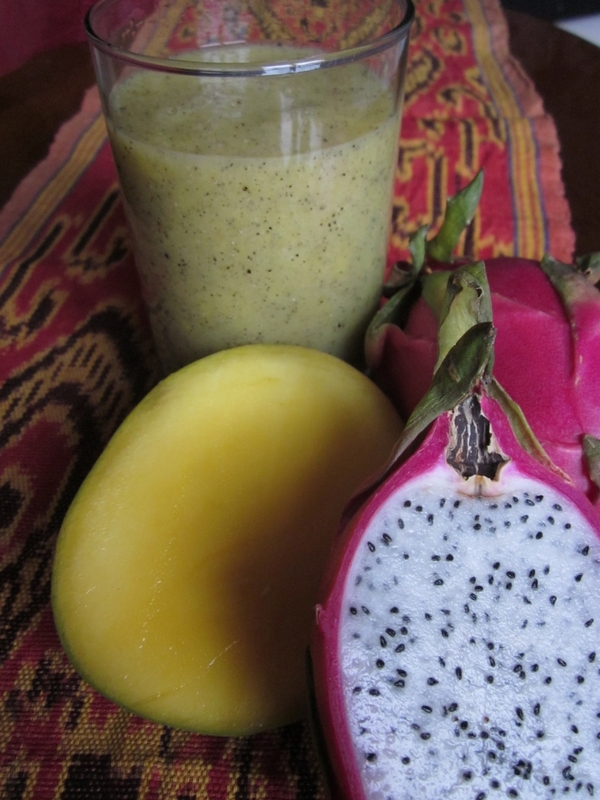 Cut dragonfruit into halves, scoop meat out with a spoon into a blender. Peel and cut mango into smaller pieces. Combine all the ingredients and blend until smooth. Serve cold. NOTE:This recipe is taken from my Smoothie Book which I am still working on.